Hey people! It’s been a long time and I got all kinds of news for ya. Time to sit back and chill so you can catch up. 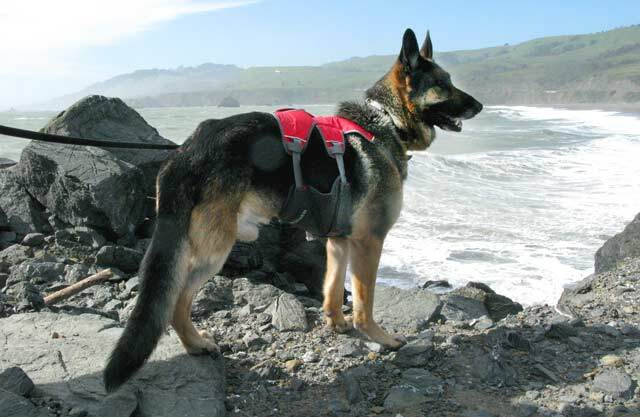 First, my best bud Tripawd Travis Ray is having a big surgery this week. So let’s all give him a big GET WELL shout out together OK? Travis gets ready for surgery. It’s a serious surgery but I’ll let his momma tell you more. Maybe she will even update Travis’ blog! I’m back in Jerry’s old romping grounds, NorCal. Dang what a good time so far. 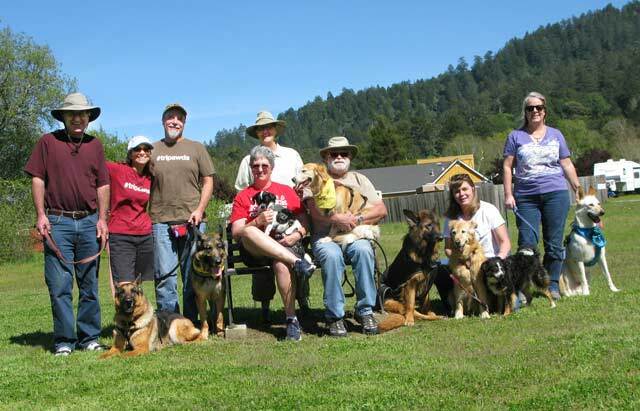 Me and my peeps met up with a few pals from the NorCal Tripawds crew. You know, Shelby the Petite Princess and her bro Dusty Dude, Ellie the Tripug-Mutt my dear bride Hannah Rae and her sister and brother. They had a special play day just for ME! Then I got to go back to the beach. Wheee! Sand is so soft and fun. But I forgot that sand isn’t like the snow I love to eat so much. When you eat sand, it gets, uh, stuck in your belleh. Not fun. Can you tell I love the beach? 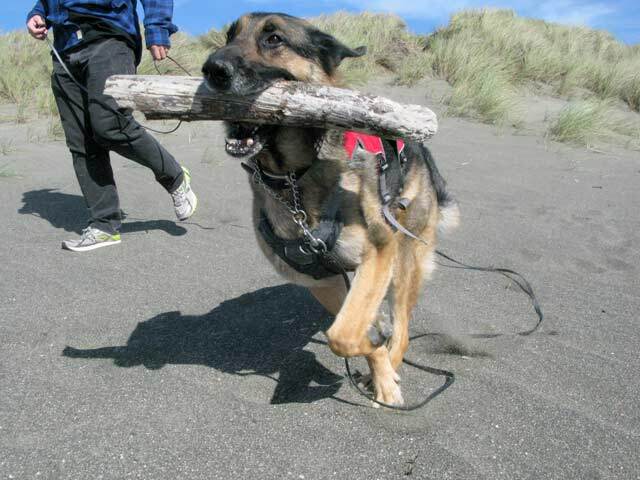 It’s hard work running on three legs in the sand. I ain’t afraid of hard work, but my people are paranoid so they don’t let me play in it that long. I could go all day. We walked around and I saw this sign. It’s so sad they won’t let Golden Retrievers on the beach, don’t you think? I wonder why. 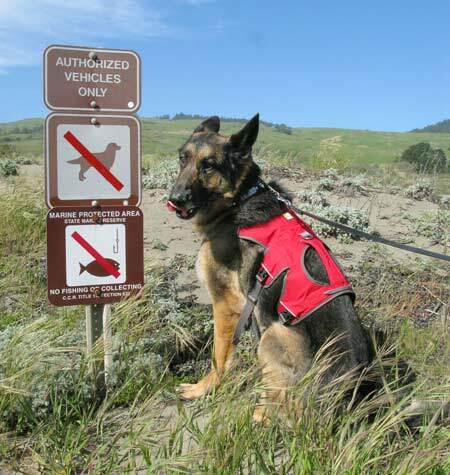 “No Golden Retrievers on the beach”? What? I love the waves. I think I want to be a life guard. Since I’m in Cali right now, why not? Stay tuned for my Baywatch Adventures. 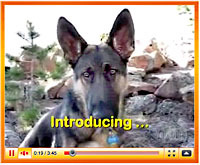 Wow Wyatt, I love to hear about your adventures. Not sure why they won’t let Golden’s on the Beach but they should allow all dogs on the beach ;). 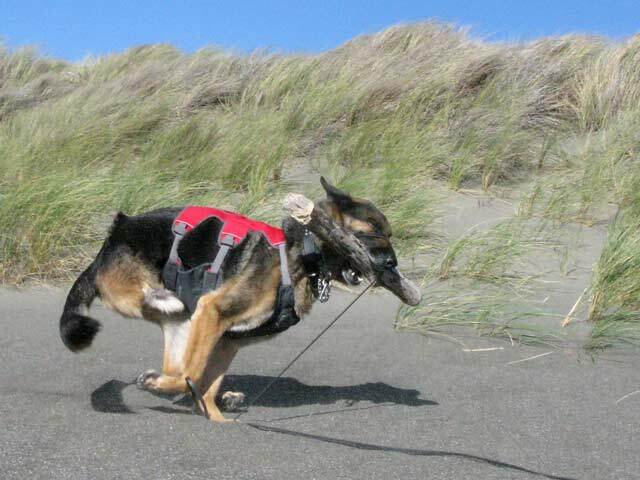 I love the action shot of you running on the beach. 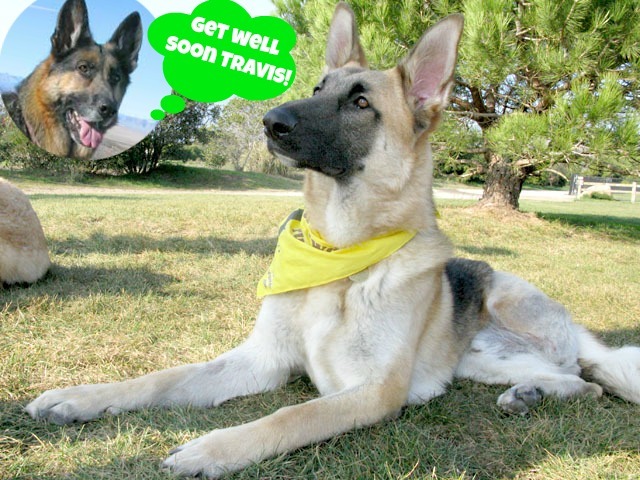 Travis get feeling better and a speedy recovery to you. Yo! Duuuude! Thanks for the shout out buddy 🙂 Don’t worry ’bout me, I’m gonna be just fine 🙂 I never bin to the beach. Looks like hella fun!